Addresses 60,000 students in English; UN Secy Gen, World Bank chief attend. Among the thousands who heard Modi and saw his image on a giant circular screen was 22-year-old American student Jennifer Robinson. 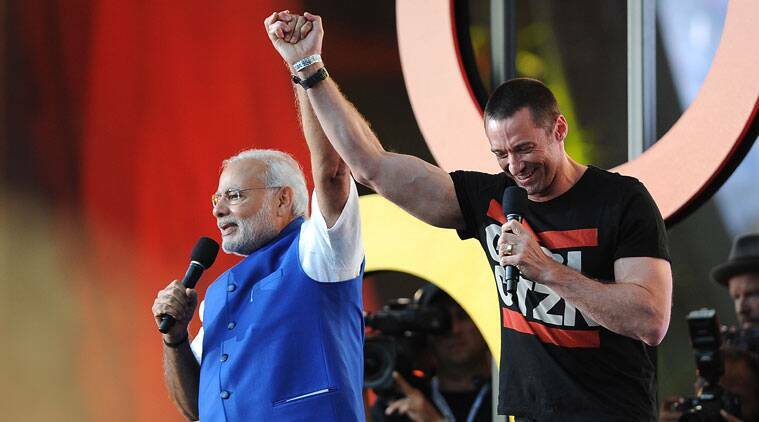 “Yes, I liked the Indian Prime Minister. He spoke about peace and blessed us all. There is also something I heard about India making toilets for all in the next few years. That’s very impressive,” she said. 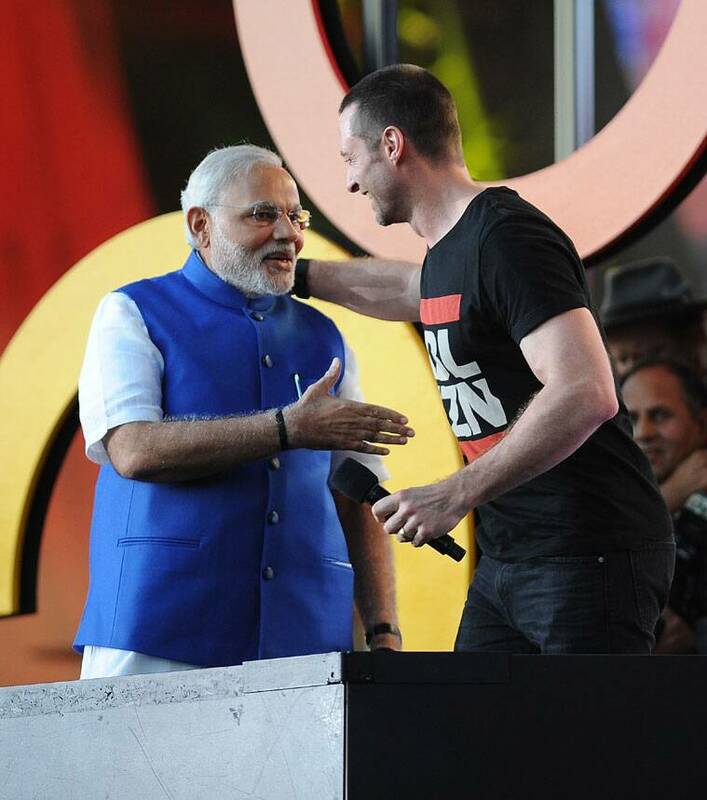 Organisers of the Global Citizen Festival, which is held at Central Park every year on September 27, said that while they had already invited Modi to attend their show since he would be in New York that day, it was his August 15 Red Fort speech that clinched the issue. “After he reiterated that he was taking up sanitation and building clean toilets as a national campaign, we knew that we needed to have him here. We exchanged tweets with him, then met members of his team, including Bharat Lal, in Delhi, and finally, met him in person. And today, just look at the way the crowds reacted to him,” said a key organiser who had visited India to firm up arrangements, but who did not want to be named. Besides Modi, United Nations Secretary General Ban Ki-moon and World Bank President Jim Yong Kim attended the event. Among the popular musicians who participated were rapper Jay-Z, veteran British rocker Sting and the American hip-hop band The Roots. 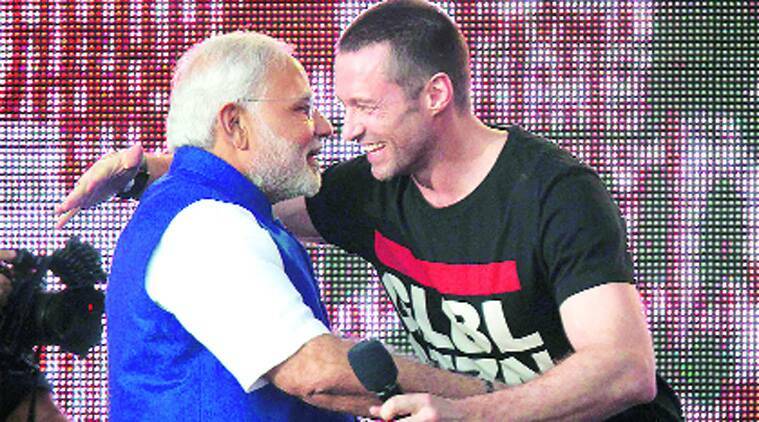 Modi personally thanked Hollywood actor Hugh Jackman, the host for the evening.